The year 13s attended their leavers’ assembly today. The event started with some music from performing arts and music students. This was followed by a talk from Principal, Richard Fletcher. Next up was the excellent ‘memories’ slideshow that contained photos, videos, messages from teachers &amp; tutors and even some DIL memes! 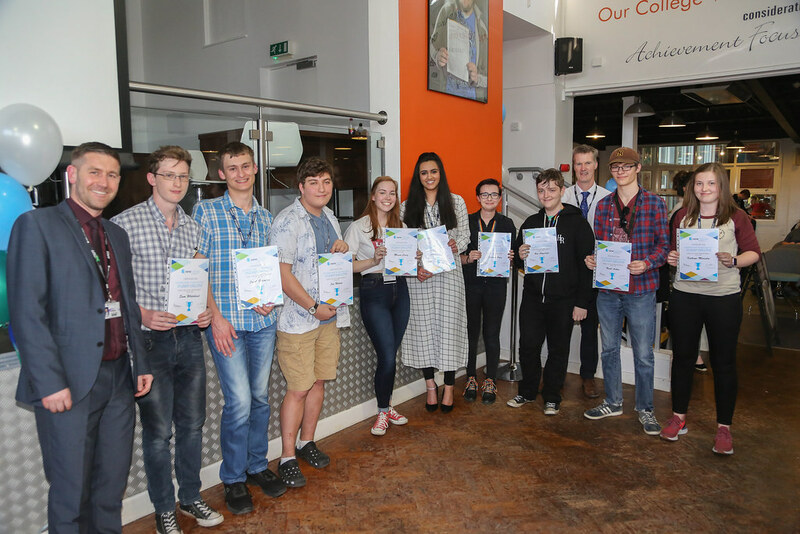 Awards were then given out for each subject followed by the announcement of the converted ‘Student of the Year’ prize, this year won by Tobyas Field and Jordana Price. Well done guys. There were 3 winners of the Dr. Nath award, which is awarded to students who have overcome significant challenges throughout their time at college. This was awarded to Alexandra Mason, Amirhossein Sepehri and India Fragley. Teacher of the year was voted for by teachers this year, with the winner being Ceri Boyle. Thoroughly deserved Ceri, well done! Tutor of the Year went to Ella Miller, again, very well deserved.